The fruit and vegetable sector aims to gross nearly 4.2 billion USD in export turnover this year, according to the Department of Crop Production under the Ministry of Agriculture and Rural Development. To realise the goal, the sector will expand the fruit area to one million hectare and develop five main fruits in southern localities namely dragon fruit, mango, durian, rambutan, and longan. The department recommended localities minimise the expansion of area under citrus fruit trees and shift to grow other high yield ones in areas where soil conditions are not suitable for those types of trees. In order to ensure food safety and origin tracking of products for domestic sales and exports, the cultivation sector has continued guiding farmers to apply advanced standards in production such as Vietnamese Good Agricultural Practice (VietGAP) and Global Good Agricultural Practice (GlobalGAP). It also seeks to boost processing and expand export markets, gradually reducing dependence on the Chinese market for some fruits like dragon fruit, longan, and mango. Farmers will be guided to increase the use of new high-quality and disease-free varieties. In 2018, the country had 969,400 hectares of fruit areas, up 48,000 hectares versus 2017. The fruit-vegetable export turnover reached 3.8 billion USD in the year, up 8.9 percent against 2017. China was the biggest fruit-vegetable importer of Vietnam with over 73 percent of the market shares. Bac Ninh province, about 60km north of Hanoi, handed over investment licenses and signed land-use contracts with many domestic and foreign investors right on the first days of 2019, according to local authorities. Besides, many investors doing business in the province, one of the key destinations in the north have registered to increase their capital, they said, adding registered capital of the investment projects amounts to hundreds of millions of USD and the investors pledged to start their work soon. They described this as a positive sign in the province’s attraction of investment for 2019, attributing it to the supportive mechanism and policies worked out by the locality. Investment is prioritized to support industry and domestic small- and medium-sized enterprises. The improvement of the infrastructure also has its role to play in the province’s investment attraction, authorities said, stressing that they will intensify the administrative procedure reform, and investment promotion. 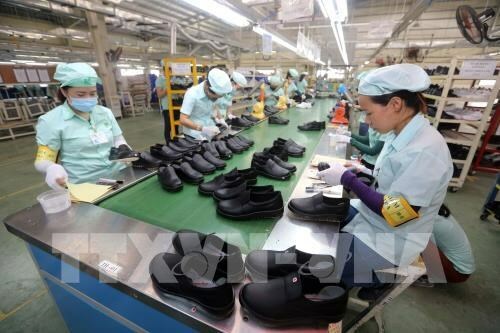 In 2018 alone, Bac Ninh attracted a combined investment of 28 trillion VND (over 1.2 billion USD) and more than 1.24 billion USD which helped bring the province’s industrial production value to more than 1,100 trillion VND and export value to 34.85 billion USD. For the time to come, the province will focus its efforts on attracting investment to qualitative projects which can save resources and energy, use high technology, be environment friendly and yield high income. The Vietnam Textile and Apparel Association (VITAS) has set the industry’s export turnover target this year at 40 billion USD, a 10.8 percent year-on-year increase from 2018. 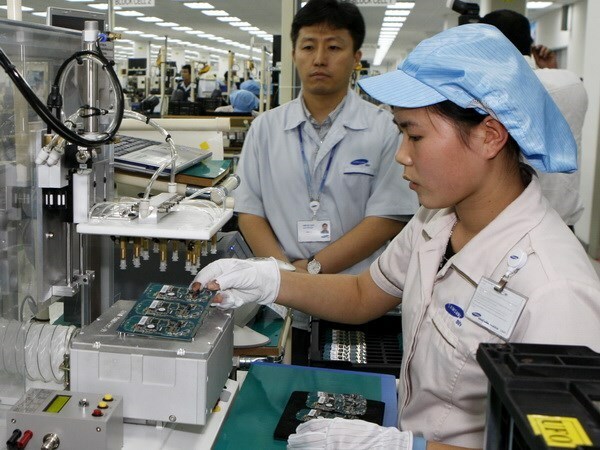 The industry’s trade surplus is expected to reach 20 billion USD this year, while employment will be ensured and income for 2.85 million workers will be increased, said VITAS. These targets were based on a successful year in 2018, when export turnover of garments and textiles products reached more than 36 billion USD, marking a year-on-year increase of 16 percent. This level of growth would make the nation one of the top three largest exporters of textiles and garments in the world. In addition, the Comprehensive and Progressive Agreement for Trans-Pacific Partnership (CPTPP), which came into effect in January 2019, was expected to help the economy grow by 1.3 percent. It should boost export turnover by 4 percent. The textile and garment industry is seen as a key sector with many opportunities to expand the market. Chairman of VITAS Vu Duc Giang said the signs for orders for 2019 were also very positive. Many businesses already had orders for the first six months of this year and even the whole year. “The sector has gradually completed the supply chain thanks to increasing flow of capital invested in the textile and dyeing industry, making its products more competitive,” said Giang. Cao Huu Hieu, Managing Director of Vietnam National Garment and Textile Group (Vinatex), said the sector would have many opportunities to grow along with challenges as the country started to implement the agreement this year. Hieu said with the strength of the country’s capital, experience, technology and labour force, many foreign-invested enterprises would establish production chains from yarn, fabric and garments in Vietnam. Vietnam’s shrimp exports are expected to increase to more than 4 billion USD in 2019. 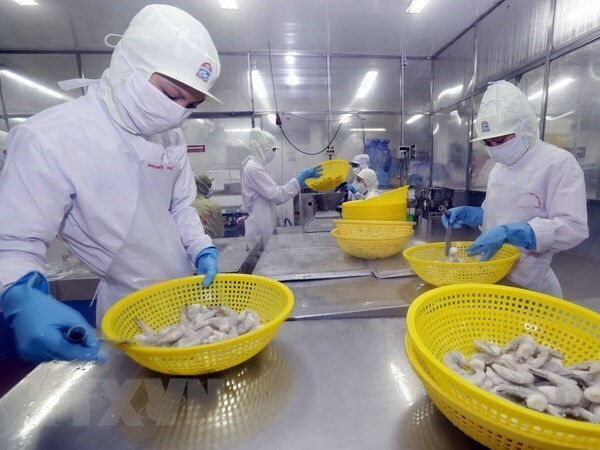 Vietnam’s shrimp exports are expected to increase to more than 4 billion USD in 2019 thanks to free trade agreements, said the Vietnam Association of Seafood Exporters and Producers (VASEP). VASEP said the shrimp sector would make a breakthrough in exporting to 28 European Union countries as the nation will enjoy low import tariffs once the EU-Vietnam Free Trade Agreement takes effect for an estimated export value of 1 billion USD. According to VASEP, 2018 ended with shrimp exports failing to meet the business targets. They reached 3.55 billion USD, down 7.8 percent from the previous year. The shrimp industry targeted to gain an export value of 4.8 billion USD in 2018 due to the many advantages of exports promotion. These advantages from existing mechanism and policies include a programme on sustainable development of the fisheries economy during 2016-2020. However, shrimp demand of large markets such as the US and Canada decreased due to weather and high inventory volume in Japan, the Republic of Korea and the EU. Domestic prices in the second quarter fell by between 20 and 30 per cent, affecting the local market and export value. At the end of last year, world shrimp prices fell. The supply from shrimp-producing countries such as India, Thailand and Indonesia increased, while inventory in the US was high, meaning Vietnam could not boost exports to this market. Inventories in India, Ecuador and Indonesia also increased after China tightened the export of shrimp via informal cross-border gates. In 2018, Vietnam’s shrimp exports to its four main markets declined from the previous year. The value of exports to China dropped by 28 percent; Japan fell by 9.2 percent. Exports to the EU and the US were down by 2.8 percent and 3.3 percent, respectively. The exports to the Republic of Korea and Canada saw slight increases of 1 percent and 3.5 percent, respectively. The EU was still the largest market for exported Vietnamese shrimp, accounting for 23.6 percent of exports with a value of 838.3 million USD. White-leg shrimp continued to occupy a key position in the market, accounting for 68.7 percent of shrimp exports, while tiger shrimp accounted for 23 percent and other types of shrimp 8.3 percent. Developers in Vietnam traditionally relied on two main sources for funding: loans from banks and money from their customers. However, now they are only allowed to take payments from customers when their project is between 30 and 50 percent finished. This means bank credit represents the most important source. But from January 1 next year banks will be allowed to use only 40 percent of their short-term funds for medium- and long-term loans, down from the current 45 percent. Developers are turning to the securities and bond markets, foreign investment and mergers and acquisitions. Analysts prefer the latter two considering what happened in the real estate market this year. According to the Foreign Investment Agency (FIA), in 2018 FDI flowing into real estate projects was worth over 6.5 billion USD, with the biggest investor being Japanese heavyweight Sumitomo Corporation. In May a Vietnamese-Japanese consortium consisting of four Vietnamese enterprises led by BRG and Sumitomo set up a joint venture to develop the Nhat Tan-Noi Bai smart city project with a total investment of 4.2 billion USD. FIA officials also said that the real estate market was likely to attract huge investments from Japan, the Republic of Korea and Singapore in the coming years. The Japan External Trade Organization (JETRO) said around 1,000 Japanese companies were likely to invest in Vietnam in the next decade, many in the property sector. Tran Lam Binh, operations director of IMM Group, said his company had received 20 offers from developers from Japan, the Republic of Korea, Malaysia, and Hong Kong to invest between 10 million USD and 100 million USD to build apartments, officetels and hotels. FDI in real estate is indeed rising, and investors are interested in a range of products from housing and industrial property to office buildings and tourism. Many foreign investors are ready to enter into joint ventures with reputed Vietnamese developers or invest in projects through mergers and acquisitions. This year there has been an M & A boom involving Vietnamese and foreign companies, many of them large deals, the first sign that property companies are looking at other sources of funds besides bank loans. Japan’s Global Group ties up with Nha Mo Company to develop the Dream Home Riverside. The Joint Venture between Tien Phat and Japan’s Sanyo Homes Corporation developed Ascent Lakeside project at a cost of 30 million USD. Japan’s Mikazuki invested 100 million USD in the Bamboo Capital Complex. A report from Savills said property remained an attractive proposition for developers interested in mixed-use projects with residential components in major cities. 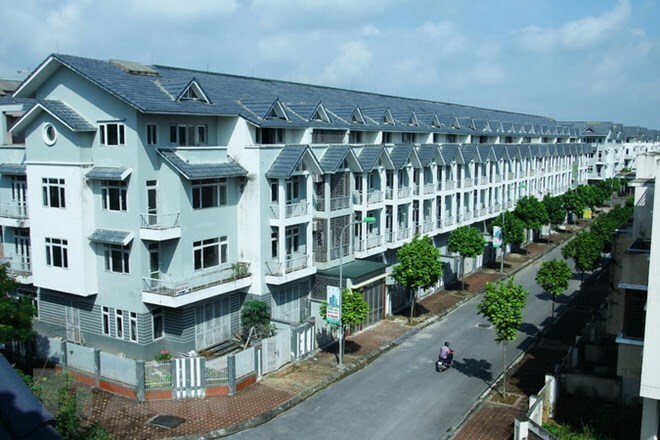 CapitaLand, for instance, acquired a 0.9ha site in a prime location in Hanoi’s Tay Ho district in March. This will expand CapitaLand’s portfolio to 12 residential developments, one integrated development, and 21 serviced residences in six cities in Vietnam. Another Singaporean developer, Keppel Land, acquired the remaining 10 percent stake in Jencity Limited, which has plans to build a township - Saigon Sports City - for 11.4 million USD. Investors are also seeking to acquire sites and properties in the hospitality sector amid increasing consumer demand and surging international arrivals. In January Japan’s Mikazuki Hotel Group announced plans to invest 100 million USD in a project in Da Nang to accommodate a five-star hotel, a waterpark, a theme park, and an F&B complex fronting the beach. Vietnamese investment company Bamboo Capital acquired the Malibu resort for some 14.8 million USD from Indochina Hội An Beach Villas Co., Ltd. The securities market is also expected to help mobilise funds for real estate enterprises especially after Vietnam was added to a watch list for possible reclassification as a secondary emerging market by FTSE Russell. In recent times, more and more real estate companies have listed their shares on the market and raised funds. The number used to be very small, but began to increase in 2017 and accelerated this year with many famous real estate companies listing. They include Van Phu-Invest Joint Stock Company, CEN Land, Everland, and Kosy. Market observers said this trend would continue in 2019 and into the future. Co.opXtra Su Van Hanh in Ho Chi Minh City’s District 10 has been named in the list of 17 stores you must visit this year, according to IGD Asia, Asia’s leading retail research organisation. IGD’s list of “The top 17 stores you must visit across Asia in 2019” also includes Carrefour Le Marche in Shanghai, Giant Express in Jakarta, AEON in Kuala Lumpur, Habitat by Honestbee in Singapore, CHICOR in Seoul, FamilyMart in Taipei City, and EVEANDBOY in Bangkok. In selecting the list, IGD considered three key attributes of each format: relevance for shoppers, driving efficiencies to reduce costs and creating points of difference. 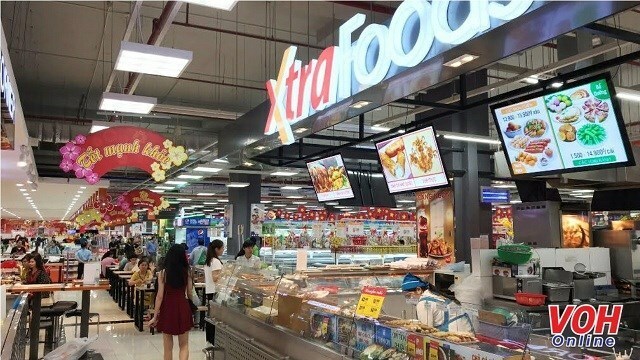 According to IGD, Co.opXtra Su Van Hanh incorporates the leading retailer’s new hypermarket concept targeting busy shoppers in a more compact store. At the store, more space allocated to ready-to-eat foods, fresh products and foodservice shows the new direction for attracting footfall. In addition, to cater to busy families, ingredients that are prepared and ready-to-cook packs are widely available. Increased variety, warmer lighting and more space is allocated to the fresh items section to attract footfall. Snacks, sushi and hot food sold at reasonable prices keep shoppers coming at various times of the day. Co.opXtra Su Van Hanh belongs to the joint venture between the country’s leading retailer Saigon Co.op, owners of Co.opmart supermarket chain, and Singapore’s NTUC FairPrice. The 6,500sq.m store sells more than 50,000 products of which more than 10,000 are imported from Singapore, the Republic of Korea, Japan, the US, the EU, Australia and New Zealand. There are four Co.opXtra hypermarkets in HCM City now and there are plans to open one or two stores every year. 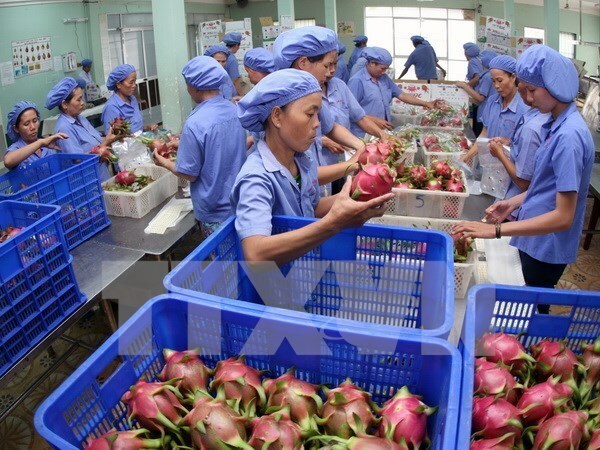 The Mekong Delta province of An Giang is striving to earn 890 million USD in export turnover in 2019, up 5.95 percent against the previous year. An Giang’s export turnover in the year hit 840 million USD, up 2.42 percent year-on-year. It mainly exported rice, textiles, and frozen vegetables. Foreign direct investment (FDI) enterprises have played an increasingly important role in boosting socio-economic development in the northern province of Vinh Phuc, especially in generating jobs for workers. In 2017, the province had 139 FDI businesses which employed 70,551 labourers with an average income of 4.9 million VND (211 USD) per person per month. By the end of last year, there were 305 valid FDI projects in the province, which generate jobs for 82,000 workers, with an average income of 7 million VND per person per month. To attract FDI firms, Vinh Phuc has synchronously implemented measures such as speeding up ground clearance, offering incentives on land rent, and investing in infrastructure at industrial zones. It has paid attention to investment promotion, and employment affairs, with the focus placed on offering vocational training for locals. The province has also stepped up the dissemination of information to raise awareness of environmental protection among enterprises and investors, and intensified inspections to detect and handle law violations related to environmental protection. 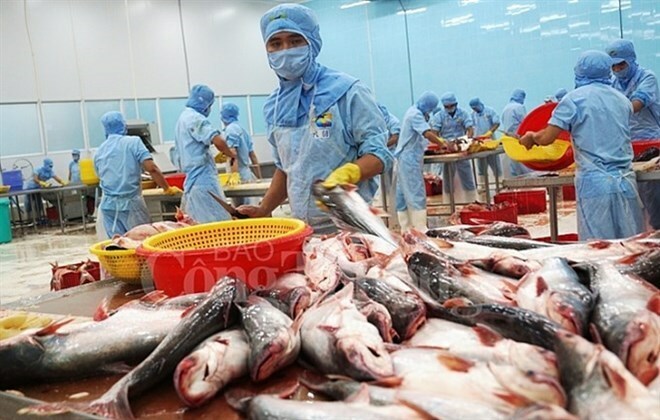 Vietnam is targeting 2.4 billion USD from tra fish exports in this year, according to the Ministry of Agriculture and Rural Development. 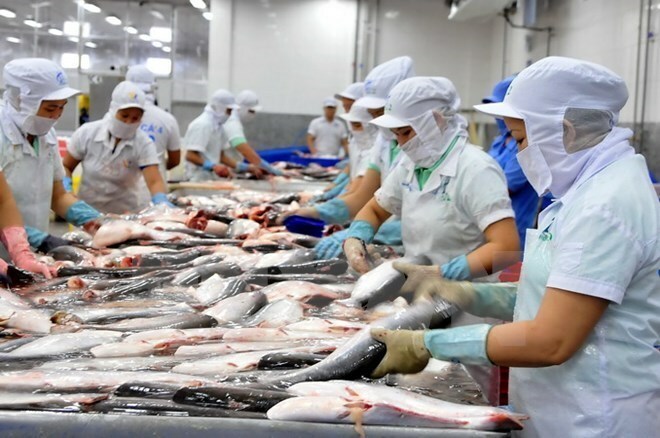 Tran Dinh Luan, deputy head of the Aquaculture General Department under the ministry, said the goal is totally within reach as all of Vietnam’s processing plants have reached the standard set by tough markets like the US, Japan and the EU. However, the official said, the focus will be on the deep processing and the further added value. Experts also echoed Luan’s view, arguing that the US-China trade war will have positive effects on a number of exports. As a result, the export of tra fish will enjoy more chances thanks to the demand increase in China. Besides, when the EU-Vietnam Free Trade Agreement is signed and brought into effect, the tax on this product will be reduced to zero percent in short periods of time. However, they also warned of the hurdles for the export of tra fish, including the programmes in Europe and America on the import control. Regarding the improvement of the quality of the tra fish for export, the General Department are joining hands with enterprises in the building of the trademark for the products and the processing to have more added value. To do this, the industry needs to increase investment, apply science and technology to the processing, as well as make the best use of the materials available. Tra fish exports brought back a record of 2.26 billion USD last year, an increase of 26.4 percent compared to a year earlier. 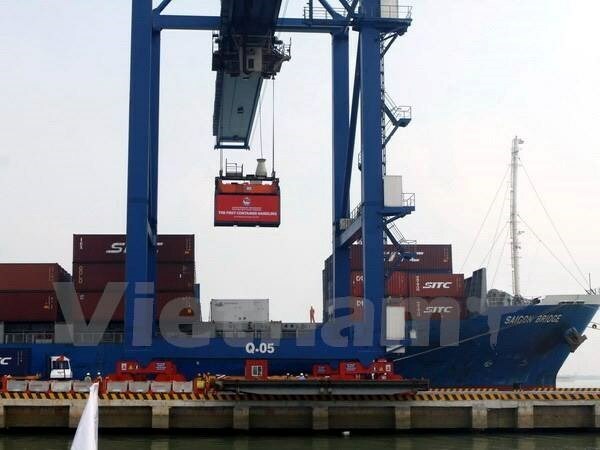 The Gross Regional Domestic Product (GRDP) of the northern port city of Hai Phong is expected to grow 15.5 percent and its domestic budget collection is projected to exceed 26.3 trillion VND (1.1 billion USD) in 2019. The targets were set at a meeting of the municipal People’s Committee on January 8, which also aims for 129.2 million tonnes of cargo to be handled at ports and 47 communes to be recognised as new-style rural areas. The city hopes to welcome more than 9 million tourists and attract 1.5 billion USD in foreign direct investment in the year. Hai Phong has put forth various solutions to develop the economy in tandem with economic restructuring and growth model reforms, with the private sector a key economic driver. The city will also work to ensure an equal business environment, improve the quality of human resources and streamline administrative procedures, heard the meeting. In his remarks, Secretary of the municipal Party Committee Le Van Thanh said Hai Phong has been a leading locality in development over the past three years. Nguyen Van Tung, Chairman of the municipal People’s Committee, said budget collection and spending is an important task in 2019 and asked agencies to review land use in the city and supervise sectors which underpay taxes, such as transportation, restaurants and hotels. He also urged agencies and localities to implement plans for the upcoming Lunar New Year (Tet) holidays, with attention paid to taking care of social policy beneficiaries. Hai Phong’s economic growth has been relatively fast, about 1.68 times higher than the national average. In 2017, the economy expanded 4.27 times from 2003’s figure, per capita GDP reached 3,964 USD, 1.54 times more than the national average and up 5.43 times from 2003. Breakthroughs have been recorded in the industrial sector as many industrial parks and major projects, such as those of Nomura or Vinfast, have been launched, consolidating Hai Phong’s role as one of Vietnam’s key industrial hubs. Nearly 488 trillion VND (21 billion USD) of investment was poured into the city by Vietnamese and foreign businesses between 2003 and 2017, up 16.6 percent annually. The real estate market in coastal Binh Thuan province's Phan Thiet district is set to boom thanks to upcoming transport upgrades, according to experts. Important infrastructure such as Dau Giay-Phan Thiet Highway and Phan Thiet Airport were seeing good progress after lengthy delays, said Savills Vietnam. The Ministry of Transportation has announced the investment plan for Dau Giay-Phan Thiet Highway, which will begin construction in 2020. This project will shorten driving time from HCM City from four hours to 2.5 hours. Another important project is the Phan Thiet Airport, which is under final planning stages and is expected to be operational in 2022. 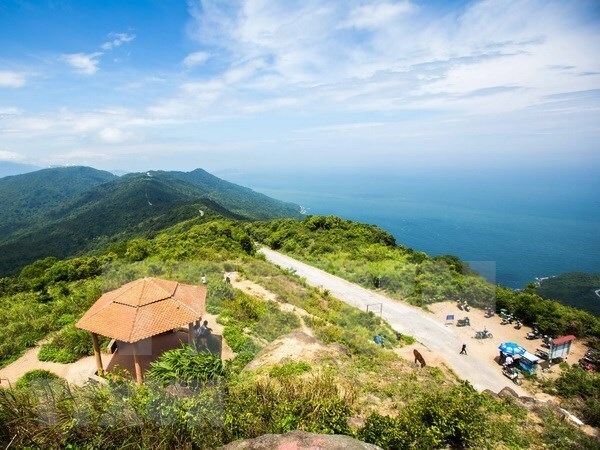 “The Dau Giay-Phan Thiet Highway will further increase visitors from HCM City and will grow the number of northern visitors, who are currently very limited in Binh Thuan,” Troy Griffiths, Deputy Managing Director Savills Vietnam said. The Long Thanh International Airport is in the final planning stage and its first phase is expected to be ready in 2025 with a capacity of 25 million passengers annually. Located 130 km from Binh Thuan, the international airport is expected to service many foreign visitors. This will be a major advantage for province, as foreign visitors tend to spend more than local visitors. “Both the hospitality and holiday home markets will benefit from the high volume of foreign tourists. While the hotel segment can secure higher rents and occupancy, holiday home projects can expect to boost buyer confidence in term of returns and capital gain,” Griffiths said. Tran Nguyen Minh Hai, real estate expert of the Banking University in HCM City, was quoted by vneconomy.vn as saying that this year, the three largest resort real estate markets in Vietnam, Da Nang, Nha Trang and Phu Quoc, have levelled off. Therefore, investment would shift from these markets to emerging markets such as Quy Nhon and Phan Thiet. "Phan Thiet is an ideal place to attract capital from HCM City investors thanks to its geographical advantages," he said. On the other hand, in the first six months of 2018, investment focused on Vietnam’s three mooted special economic zones, namely Van Don in the northern province of Quang Ninh, Bac Van Phong in the central province of Khanh Hoa and Phu Quoc Island in the southern province of Kien Giang. However, Vietnam does not have yet a law for special zones so the investors in the zones have moved their investment to markets like Phan Thiet, according to Hai. At present, Phan Thiet resorts have a very soft price against other markets because this real estate market is in the stage of building infrastructure. The price is expected to increase when infrastructure is completed and peak in 2020 when the Phan Thiet Airport comes into operation, according to him. Griffiths said the majority of holiday home products in Binh Thuan launched before 2013 with low selling prices; after this period, the market suffered a downturn in line with the global economic crisis. After the recovery of the economy, low real estate investment in Phan Thiet resulted in limited new supply and a bearish market with low achievable prices. Limited diversification and limited supply made the city less competitive compared to Da Nang and Nha Trang, according to Savills Vietnam. Binh Thuan has numerous approved projects by local developers, but many have been withdrawn because of delays. Now, however, Rang Dong JSC is a major developer in Binh Thuan with the development of the large-scale Sea Links City. Novaland launched a holiday villa project in Mui Ne. Other local developers, such as TTC, FLC and TMS, are planning to launch projects in the near future. The progress of supporting infrastructure and the high price of major coastal cities has directed investment towards emerging markets like Phan Thiet. Savills Vietnam reported Phan Thiet possesses ideal conditions for tourism development such as sunny weather, proximity to HCM City and beautiful beaches. Meanwhile, the holiday home market has not developed to its full potential and has not kept up with other coastal cities such as Nha Trang and Da Nang. Many large-scale projects have had approval but delays continue due to the lack of supporting infrastructure and limited efforts by authorities to improve tourism products. While other coastal cities have diversified tourism projects, the main product in Phan Thiet and Binh Thuan are mostly land plots, targeting speculators. Vietnam’s textile and garment sector is hoped to make breakthroughs in 2019 based on successes and momentum last year. According to the Vietnam Textile and Apparel Association (VITAS), 2018 was a successful year for the textile and garment industry with a total export turnover of over 36 billion USD, up over 16 percent year-on-year, making Vietnam one of the three biggest exporters of textiles and garments in the world. VITAS Chairman Vu Duc Giang said last year, the world saw complicated developments, rising trade disputes and scientific-technological advances. In that context, the association proposed many measures to the Government, and relevant ministries and sectors to remove policies that cause difficulties for businesses operating in this field, he said. 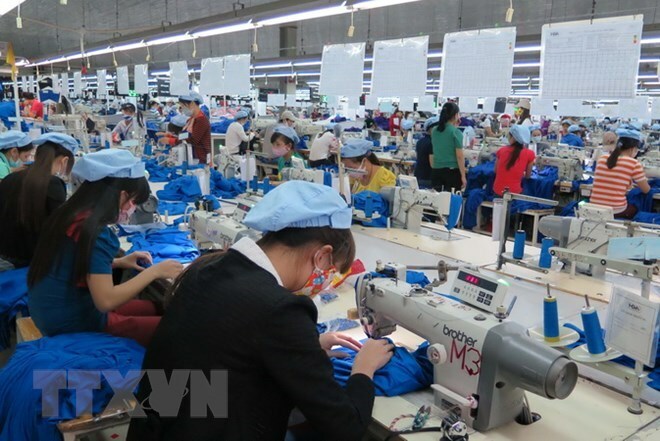 With the results achieved in 2018, Vietnamese textile firms have witnessed positive signals for orders in 2019. Many businesses have already received orders for the first six months of 2019 and even the whole year. Vietnam’s products are highly competitive and the country gradually completed the textile supply chain because flows of capital investment in the textile and dyeing industry, and material has been on the rise. The upcoming enforcement of new generation free trade agreements is a positive factor supporting for production and business activities of the sector in 2019. On that basis, VITAS has set a target of 40 billion USD in export turnover, up 10.8 percent compared to 2018. The sector is expected to enjoy a trade surplus of 20 billion USD, and create employment and increase income for 2.85 million workers. 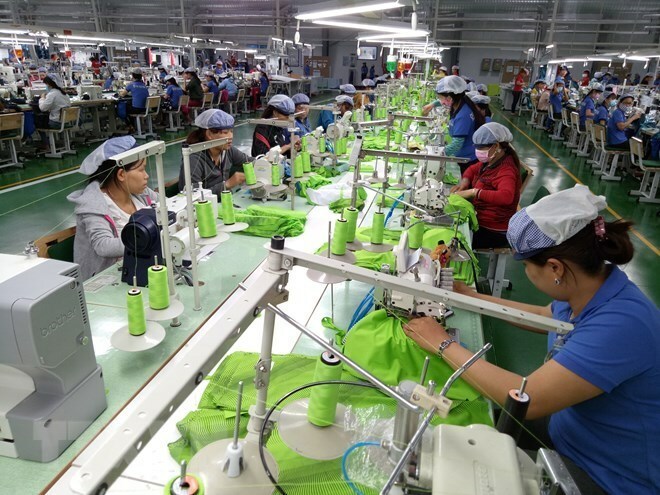 Experts said in 2019, the Comprehensive and Progressive Agreement for Trans-Pacific Partnership (CPTPP) is hoped to create a boost for many industries of Vietnam, including the textile and garment sector. In addition, the textile and garment sector is also waiting for more orders shifted from China to Vietnam due to the US-China trade war. According to Pham Xuan Hong, Chairman of the Board of Directors of Saigon 3 Garment Joint Stock Company, domestic enterprises will be enabled to choose orders with highs price and easier requirements when a lot of orders are moved from China to Vietnam. In order to catch up with these opportunities, local businesses need to gradually improve technologies and invest more in new technologies, he said. However, opportunities will always go with challenges, experts said. According to the Ministry of Industry and Trade, 2019 will continue to be a challenging year for the sector to integrate into the global textile supply chain. Especially, the fourth Industrial Revolution will have great impacts on the textile and garment industry in the coming time, forcing it to change and strongly increase investment in equipment and personnel. Many consumers now require origin certifications and environmentally-friendly products, so textile and garment enterprises need to ensure global standards of materials to ensure health of customers. Bui Kim Thuy, Chief Representative of the US-ASEAN Business Council (USABC), said Vietnam is participating in 16 free trade agreements (FTAs). Ten out of 12 signed agreements have been enforced, such as the ASEAN Trade in Goods Agreement (ATIGA), the ASEAN-China FTA, the ASEAN-Korea FTA, while the two remainders, the CPTPP and the ASEAN-Hong Kong (China) FTA, have not yet come into force. The participation in various FTAs helps Vietnamese enterprises to have more choices in exporting goods abroad. However, those are also bringing challenges to the sector, she said. Thuy stressed that if businesses do not meet regulations on origin of goods, it will be difficult for them to take full advantage of incentives from FTAs. Vinalines Logistics eyes at least 10 percent in profit growth. Vinalines Logistics Vietnam Joint Stock Company (Vinalines Logistics) will improve logistics services and expand operational network in a bid to realise its target of attaining at least 10 percent in profit growth. 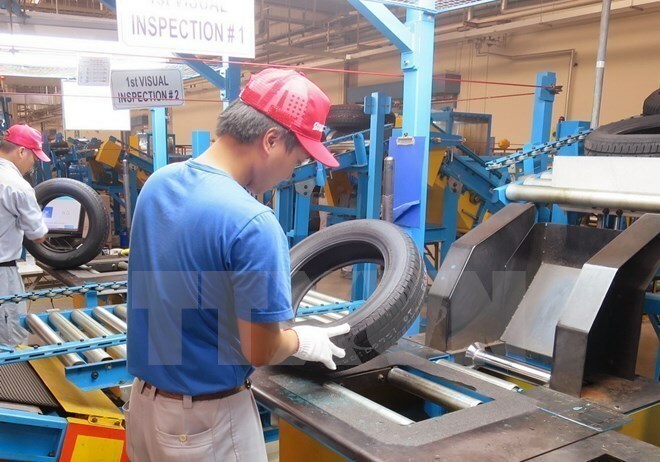 General Director of the company Mai Le Loi said that the firm will open more warehouses in Ha Nam and Vinh Phuc provinces to serve demand of Honda Vietnam Company Limited. An expansion will take place at a logistics centre of the Hanoi-based Hoa Lac Hi-Tech Park to satisfy the need of Japanese investors, he added. Regarding domestic logistics activities, increasing the number of refrigerated containers on North-South transport route and improving door-to-door delivery services will be focused. Meanwhile, the firm will cooperate with foreign partners to develop its international maritime logistics. For railway transport, the company will work to better capacity on the route from Hai Phong and Yen Vien-Dong Dang to China’s Nanjing and then European countries. Touching on the company’s performance in 2018, Loi said that Vinalines Logistics raked in an estimated 3.5 trillion VND (150.8 million USD) in total revenue, and over 20 billion VND (861,700 USD) in after-tax profit. The Vietnam Maritime Administration (Vinamarine) has focused on administrative reform as part of efforts in international integration. According to head of Vinamarine Nguyen Xuan Sang, since July 2018, the administration has expanded the national one-stop shop mechanism towards 11 administrative procedures at 25 seaports. As from July 1, 2018, 28,171 dossiers had been approved online, accounting for 87 percent of submitted files, he said, adding that procedures for vessels have been conducted in line with the 1965 Convention on Facilitation of International Maritime Traffic (FAL65). In many seaports, time for procedures to be carried out has been cut from six hours to only half an hour, Sang noted. Addressing a conference last month, Minister of Transport Nguyen Van The said his ministry has been applauded by the Government for its efforts in administrative reform in 2018. 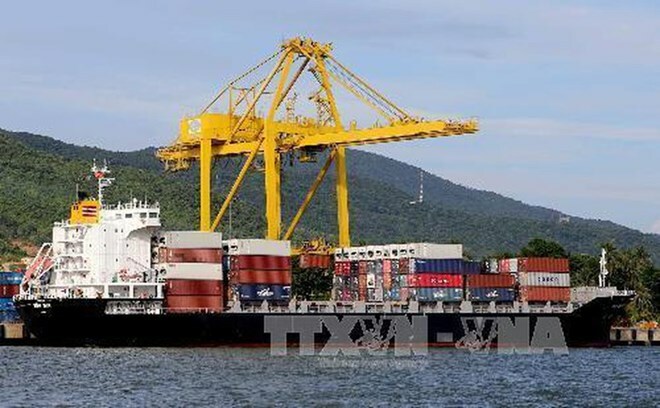 Nguyen Tuong, Deputy General Secretary of the Vietnam Logistics Business Association, said 19 percent more cargo was handled through seaports last year thanks to administrative reform. Economists said open procedures will help increase the amount of cargo passing through seaports, ease pressure on the road system, raise State budget collection and spur development. Phan Phung Hai, Director of Vinamarine’s chapter in the central province of Quang Tri, said his unit has transparently carried out administrative procedures, publicised hotlines and assigned tasks for leaders of relevant agencies. Many businesses said reforms have helped them save costs on ship rental, seaport services and labour. Regarding plans for 2019, Sang said the administration will continue to review all administrative procedures and implement coordination mechanisms with State management agencies, thus creating a favourable environment for business, people and manages in the sector. At the same time, the administration will step up the application of information-technology and use achievements of the fourth Industrial Revolution in management, he said. The Mekong Delta province of Bac Lieu plans to create five large-scale rice fields with a total area of 25,000ha this year and six more with a combined area of 31,000ha next year, according to the provincial Department of Agriculture and Rural Development. 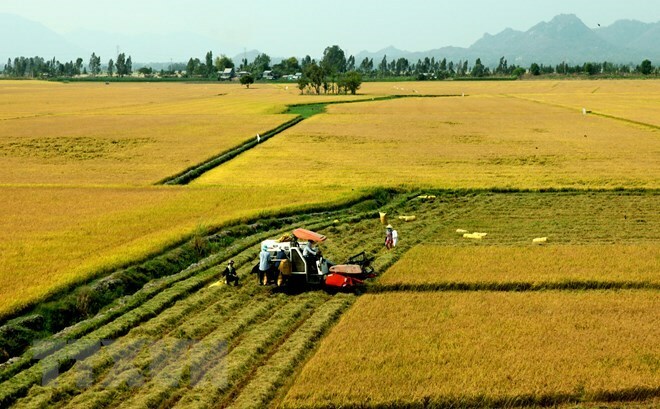 The province hopes by next year to have 10,000ha of large-scale rice fields, created by pooling individual farmers’ lands to achieve economies of scale, adopting Vietnamese good agricultural practices (VietGAP) standards. Luong Ngoc Lan, director of the department, said the province is implementing policies to stimulate consumption of agricultural produce, create large-scale rice fields, create tie-ups between farmers and companies to guarantee sales of their produce, and restructure agriculture towards value addition and sustainability. To achieve the targets it would invest in infrastructure for large-scale rice fields, including electric pumping stations, roads, irrigation systems, drying facilities, and rice processing and preserving facilities, he said. The province plans to set up co-operatives and co-operative teams that can instruct farmers in growing crops and represent them in negotiations with companies. It will help adopt advanced farming techniques and use machinery at all stages of growing and preserving rice. It has encouraged large and prestigious companies to invest in its large-scale rice fields and adopt VietGAP standards and guarantee purchase of more rice from the large-scale fields. The department has petitioned the provincial People’s Committee for funding to create efficient rice farming models using VietGAP and organic standards. It also wants the People’s Committee to get research institutes and universities to improve the quality of local speciality rice varieties and create new fragrant and high-quality varieties that suit local conditions and can cope with climate change. The province has 21 large-scale rice fields with a total area of 11,400ha. Most rice grown there are high-quality and fragrant varieties. Individual farmers with contiguous fields will grow the same variety and follow the same schedule and techniques. The entire harvest of large-scale fields is guaranteed purchase. The province has some 183,000ha of land under rice and produces 1 million tonnes of paddy annually. Rice is the main source of income for farmers, but most grow on a small scale and lose out on the advantages offered by scale. 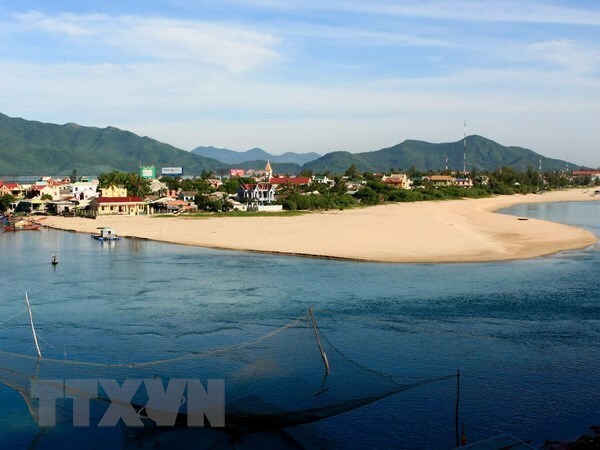 The central province of Thua Thien-Hue has given nod to the construction of a marine ecological tourist complex in Hai Duong commune, Huong Tra township. Lying on a site of nearly 134ha, the complex will be built at a total cost of over 2.1 trillion VND (91.3 million USD) by the Hai Duong Hue Investment JSC. The complex comprises of three sections, with the S1 section designed for mid-end tourist services on about 56.5ha, which houses a four-star hotel and condotel, bungalows and villas, completed with a swimming pool, bar, spa, club house. The S2 area offers high-end services, featuring a five-star hotel and condotel, bungalows and villas, a swimming pool, restaurants and an international convention hall. The 30-ha S3 section is reserved for ecological tourist purposes, also featuring bungalows and villas, a spa and swimming pool, restaurants, and a club house. Construction on the S1 section is due to start in September 2019 and be completed in January 2022 while the S2 and S3 will be finished in June 2023. With a coastline of over 128km and more than 22,000ha of lagoons – the largest in Southeast Asia, Thua Thien – Hue has chosen to strongly develop marine and lagoon tourism, especially ecological tourism in Chan May – Lang Co and Tam Giang – Cau Hai lagoon. Apart from the upgrade of Chan May port, the province has embarked on other coastal projects in Tu Hien and Loc Binh beaches. A view of the sea area off Phu Quoc Island from the Hon Thom cable car system \\Phu Quoc island district continues to deploy synchronous solutions, creating favourable conditions, supporting investors and enterprises to implement projects as planned, speeding up construction and contributing to local socio-economic development. This was revealed by the Phu Quoc Economic Zone management board in the southern province of Kien Giang. In particular, the island is concentrating on investment capital to speed up the construction schedule to complete key infrastructure projects; overcome limitations and weaknesses in planning management, land, construction, compensation and site clearance; drastically handle disputes, compensation, clearance, resettlement and support for people to have "clean land" for investors to implement the projects. According to the Phu Quoc Economic Zone management board, investment attraction in Phu Quoc mainly focuses on tourism and marine economic development. Although a number of projects on the island have been granted investment policy decisions, the implementation of these projects is still slow. The reasons include the compensation for site clearance, support and resettlement of projects takes a lot of time; disputes and complaints leading to land handover in the field face many difficulties and problems; coordination between investors and State management agencies is not synchronised, so some projects are encroached and re-occupied, causing difficulties and shortcomings in implementing projects in accordance with the plan. In addition, the source of infrastructure investment capital of the Government has not met the demand for development investment, affecting the construction progress of key infrastructure projects compared to the plan. So far, Phu Quoc has paid compensation and support to more than 10,897 households, with an amount of over 6.12 trillion VND (261.6 million USD). The Phu Quoc Economic Zone management board said that to date, Phu Quoc island has 299 valid investment projects in planning areas with a total area of 10,578ha. Accordingly, 258 projects were granted investment certificates, investment policy decisions, with a total area of 8,893 hectares, total registered investment capital of over 270.3 trillion VND (11.9 billion USD), and 41 projects are completing procedures. Currently, 46 projects have been put into operation on an area of 1,200 hectares with a total investment capital of more than 13.47 trillion VND. The other 41 projects are under construction, covering an area of 3,246ha with total investment of 101.3 trillion VND, including six partially operated projects, the remaining projects are completing investment procedures. In addition, up to now, on Phu Quoc island, there are 31 foreign direct investment (FDI) projects with total registered capital of 293 million USD. The central city of Da Nang will prioritise the development of tourism and services associated with commercial real estate for resorts. This was one of the five key areas given in the Politburo’s newly issued Resolution 43 on the city’s construction and development by 2030. According to the resolution, Da Nang needs to have a policy focusing on developing five key sectors, including travel and high quality services associated with resort real estate; seaports and airports; high-tech industry associated with creative urban construction and start-ups; information technology, electronics and telecommunications associated with the digital economy; and high-tech agriculture and fisheries. In particular, there will be policies to develop Da Nang into a marine economic centre, forming a logistics service supply chain in the central region with the city as a central hub. Da Nang must develop its high-tech park into a competitive, scientific and technological urban area in accordance with international standards to ensure competitiveness. At the same time, it is necessary for the city to become a centre for entrepreneurship and innovation in the Central Highlands region. The resolution also requires the city restructure the agricultural sector towards building a new countryside and developing high-tech agriculture. It must promote the development of large-scale commodity production and focus on products with competitive advantages and high economic value. The city must also focus on deal with land management violations to protect the interests of organisations, individuals and sources of State budget revenue. The resolution says the city must create a favourable investment and business environment, actively attract foreign-invested projects, promote socialization and build a mechanism to effectively mobilise domestic and foreign investments. The Politburo asked the city to focus on developing modern infrastructure to connect the city traffic system with neighbouring, regional and international provinces by road, rail, sea and air. The city should encourage enterprises from all economic sectors to develop telecommunications infrastructure, universalise services and develop modern public services, the resolution said. The National Power Transmission Corporation (EVNNPT) said it plans to launch 33 power transmission projects and put into operation 47 projects, with a total capital of 19.5 trillion VND in 2019. The 33 projects to be launched include three 500-kV power transmission project and 30 220-kV power transmission projects, while the 47 projects to be completed comprise 14 500-kV power projects, 30 220-kV power projects and three 110-kV power projects. 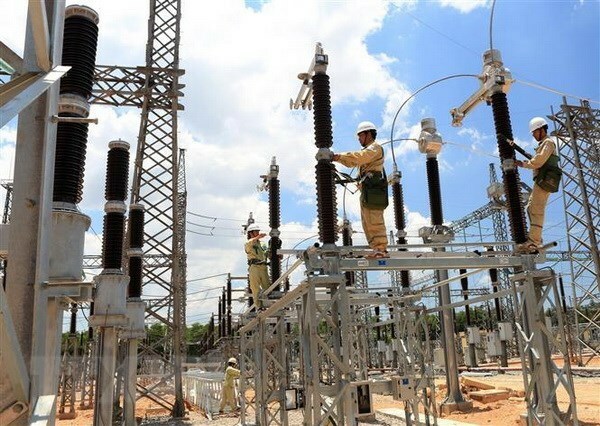 EVNNPT, a subsidiary of the state-owned Vietnam Electricity (EVN) group, transmitted 184.5 billion kWh of electricity in 2018, up 11.03 percent from the previous year. It has set the target of 203.2 billion kWh of electricity transmitted in 2019, up 10.15 percent from 2018.